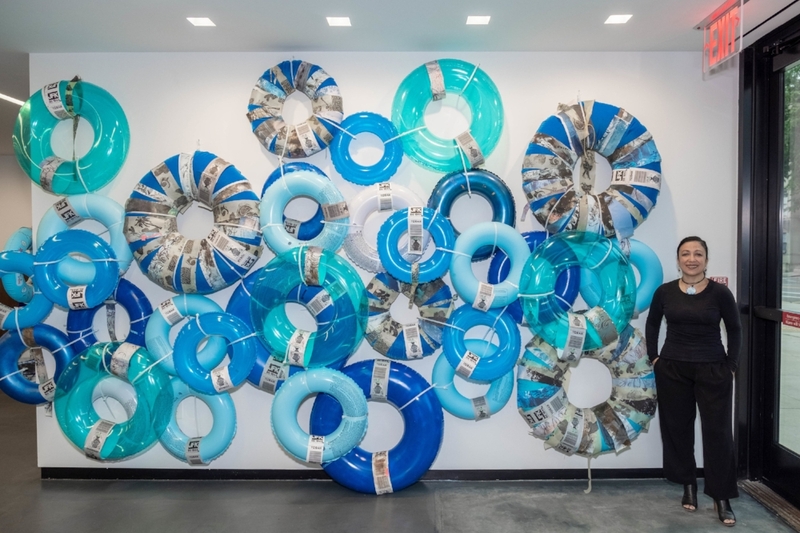 Relational Undercurrents: Contemporary Art of the Caribbean Archipelago features recent works by more than 80 artists with roots in more than a dozen islands of the Caribbean. 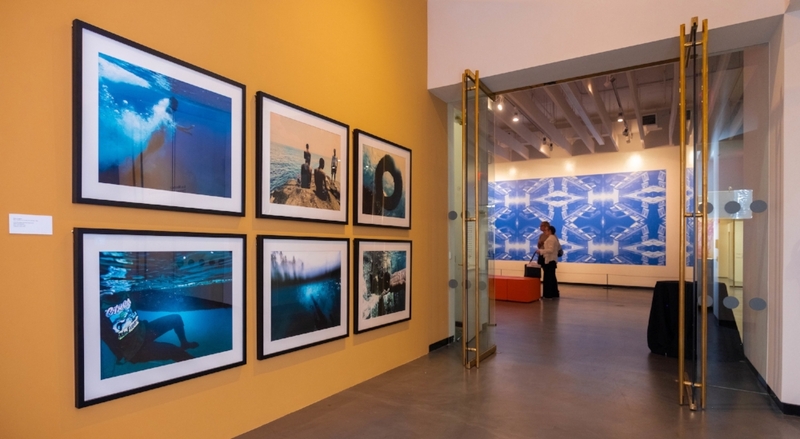 Curated by Tatiana Flores and presented in conjunction with Columbia University's Wallach Art Gallery, Relational Undercurrents was initially conceived as part of The Getty Foundation’s Pacific Standard Time: LA/LA and debuted at the Museum of Latin American Art in Long Beach, California. Relational Undercurrents encompasses painting, sculpture, photography, video, installation and performance art. Firelei Báez, Christopher Cozier, Ricardo de Armas, Humberto Díaz, Scherezade García, Adler Guerrier, Jeannette Ehlers, Frances Gallardo, Marlon Griffith, Quisqueya Henríquez, Nadia Huggins, Karlo Andrei Ibarra, Deborah Jack, Miguel Luciano, Jason Mena, Charo Oquet, Marianela Orozco, Fausto Ortiz, Manuel Piña, Beatriz Santiago Muñoz, Roberto Stephenson and Juana Valdes. Established in 1986, the Wallach Art Gallery is the University's premier visual arts space. We are a platform for critically acclaimed exhibitions, a dynamic range of programming and publications that contribute to scholarship. The Wallach Art Gallery advances Columbia’s historical, critical and creative engagement with the visual arts. Serving as both a laboratory and a forum, the Wallach Art Gallery offers opportunities for curatorial practice and discourse, while bridging the diverse approaches to the arts at the University with a welcome broader public. We present projects that are organized by graduate students and faculty in the department of art history and archaeology or by other Columbia scholars, focus on the contemporary artists of our campus and communities and offer new scholarship on University special collections. Artists on view at the Wallach (Relational Undercurrents' exhibit): Elia Alba, Allora & Calzadilla, Ewan Atkinson, Nicole Awai, David Bade, René Emil Bergsma, Samir Bernárdez, Jorge Luis Bradshaw, Ernest Breleur, Charles Campbell, María Magdalena Campos-Pons, Tony Capellán, Fermín Ceballos, Vladimir Cybil Charlier, Camille Chedda, Nayda Collazo-Llorens, Natusha Croes, Tony Cruz, Blue Curry, Maksaens Denis, Jean-Ulrick Désert, Humberto Díaz, Edouard Duval-Carrié, Jeannette Ehlers, Edgar Endress with incarcerated Haitians, Sofía Gallisá Muriente, Lilian Garcia-Roig, Maria Elena González, Andil Gosine, Marlon Griffith, David Gumbs, Quisqueya Henríquez, Sasha Huber, Charles Juhasz-Alvarado, Jean-Luc de Laguarigue, Marc Latamie, Glenda León, Sofia Maldonado, Carlos Martiel, María Martínez-Cañas and Kim Brown, Jason Mena, Ibrahim Miranda, Kishan Munroe, Angel Otero, Raquel Paiewonsky, Lynn Parotti, Manuel Piña, Jorge Pineda, Barbara Prézeau, Jimmy Robert, Glenda Salazar Leyva, Beatriz Santiago Muñoz, Nyugen Smith, Lisa C Soto, Ellen Spijkstra, Sandra Stephens and David Sansone, Didier William.